The problems in Northern Ireland's peace process didn't begin with Brexit, and they won't end with a backstop. Following the historic defeat of her Brexit deal in the Commons, Theresa May has returned with a threadbare Plan B that focuses on renegotiating the backstop in order to win the support of Conservative Brexiteers and the Democratic Unionist Party (DUP). So far, the prospects for this strategy seem bleak. Even if there was to be a majority in the House for her proposal, it seems highly unlikely to get the ascent of the European Union – both the German and Irish governments have rejected proposals for a time-limited backstop, insisting that the existing Withdrawal Agreement must be implemented in full. But the time-limited backstop was not Theresa May’s only Brexit innovation of recent days. On Monday, the Telegraph revealed that the Prime Minister was floating the idea of renegotiating the 1998 Good Friday Agreement (GFA). This peace deal has been the foundation of politics in Northern Ireland for the last twenty years, and was confirmed by not one but two referendums – so it’s not surprising this proposal has been met with exasperation on the other side of the Irish Sea. It’s difficult not to see this period as a watershed for British-Irish relations in the new century. Not since the IRA’s attacks on London in the 1990s have we seen the ‘Irish Question’ move so quickly from the margins to the centre of British politics. And we would have to go back over one hundred years, to the Home Rule crises of the late nineteenth and early twentieth centuries, to find a parallel in terms of an unlikely parliamentary arithmetic that has enabled an Irish Unionist party to wield a veto in the Commons. The circumstances that have led to this point are many years in the making. After Theresa May’s brief flirtation with a cross-party approach to Brexit, it appears she has once again turned to the hardline DUP for a way out of the crisis. ‘Ulster’s answer to the Taliban,’ as former UVF leader and Progressive Unionist Party activist Billy Mitchell would call them, the DUP have displayed ideological dogmatism and ruthless self-interest in thwarting a softer Brexit. The long game for them is preventing Irish unity, something they believe was facilitated by European integration. If this means supporting Tory policies which hurt the working-class loyalist communities they claim to represent, or damaging the Northern Irish economy as a whole by torpedoing cross-border trade, then that is a price they have demonstrated they are willing to pay. The alliance forged between the Tories and DUP has fed into a protracted crisis of Northern Ireland’s own political process. The immediate cause for Sinn Féin’s withdrawal from the power-sharing institutions in January 2017 was the implication of senior DUP figures, including First Minister Arlene Foster, in a major public finance scandal. But the decision also came after a longer period of accumulating tensions around more fundamental issues of contestation: the residual influence and activities of armed groups; the absence of comprehensive process for dealing with the legacy of the Troubles; the meaning and realisation of equality in relation to language, identity and cultural expression; and the DUP’s blocking of LGBT and abortion rights, around which they insist on ‘regulatory divergence’ between Northern Ireland and the rest of the UK. This brings to the fore a reality which has been sorely absent from British media discussion of Northern Irish politics in recent months: things did not fall apart because of Brexit. Instead, twenty years after the GFA, the institutions it established had become increasingly dysfunctional. Peace was maintained, but at the cost of meaningful progress on economic and social issues. There is, in light of this, no backstop that could resolve the contradictions at the heart of today’s peace process. 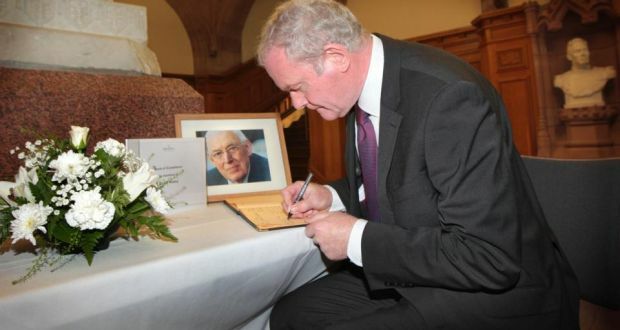 The late Ian Paisley and Martin McGuinness served together as First Minister and Deputy First Minister during the early years of power-sharing. The GFA and subsequent St. Andrews Agreement (2006) between the Sinn Féin and the DUP were both hailed as deals that would spell an end to sectarian conflict and division, paving the way for a more ‘normalised’ and integrated society. The accords undoubtedly brought about the gradual de-escalation of political violence, rendering unlikely a return to the horrors of the Troubles. In turn, this relative absence of violence has facilitated the emergence of new social spaces, enabling younger generations to socialise across traditional boundaries. We have also seen the growth of liberal attitudes on issues such as equal marriage and abortion, with the pursuit of a rights-based discourse acting to disrupt old allegiances and political certainties. Yet, in a number of important respects, the fissures of a deeply divided society remain intact. In the first place, there is a sense that political polarisation into communal ‘Green’ and ‘Orange’ blocs has accelerated in the post-GFA era. The political framework endowed by the 1998 Agreement is based on a diagnosis of the Troubles as an ethnic conflict, to be managed through a power-sharing arrangement involving nationalists and Unionists. One unfortunate but predictable consequence of this is the institutionalisation of a dynamic of inter-communal competition, whereby a gain for one community tends to be viewed (in zero-sum terms) as a loss for the other. As a result, almost any issue – everything from housing provision down to the naming of bus stops – has the potential to take on a sectarian hue. Sinn Féin and the DUP have benefited from and reinforced this conservative logic. For the best part of ten years, the two parties engaged in routine ethno-sectarian rows at election time, all-the-while maintaining an unspoken agreement to avoid serious inter-communal escalation. In government, they forged a conservative policy consensus, quietly discarding the more integrationist policies advocated by the SDLP, UUP and Alliance Party in earlier years. They also used their newfound hegemony to shut out alternative voices, closing the space for those who would seek to articulate a class-based analysis or political vision. Design flaws coupled with political expediency has therefore given rise to a system that mitigates against solutions to the underlying problems that the GFA was meant to solve. Consequently, the challenges of resource competition and segregation in education and housing have been left virtually untouched. This is particularly true of working-class housing estates, which have experienced modest rates of desegregation in comparison to middle class housing markets. 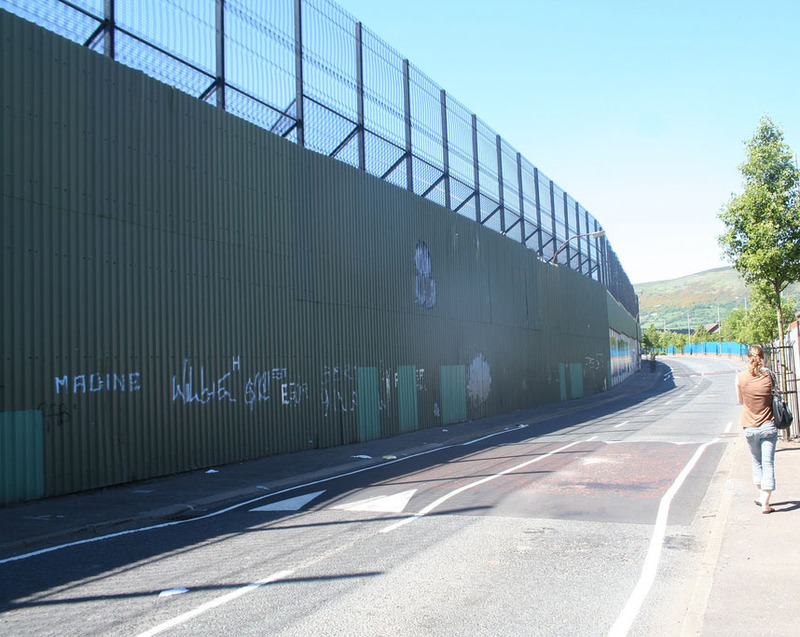 In addition, there were more peace walls constructed in years following the GFA than in the decade before – and all in deprived areas. Northern Ireland’s growing ethnic minority population meanwhile has been subject to scapegoating and an increase in racist sentiments and violent attacks particularly since the onset of austerity. Toxic inter-community suspicion and competition are proving resilient, and they in fact co-exist and interact with processes of (neo)liberalisation, rather than decline under the new order. The notion of a ‘peace dividend’ was constitutive of the 1998 Agreement, if not specific to the text put to referendum and overwhelmingly endorsed at the time. Indeed, the trope that links peace and power-sharing with economic prosperity has been reasserted at key junctures to shore up public support for a fragile process. Advocates of the neoliberal peace might plausibly argue that it has succeeded in promoting economic development (starting from a low base) by attracting and incentivising foreign direct investment (FDI), bolstering the tourist industry, transforming parts of Belfast and facilitating new patterns of consumption. Yet, by anyone’s standards and by any number of indicators, the economic story of Northern Ireland over the past twenty years is one of stagnation or relative decline. In overall terms, the North’s economic performance has consistently diverged from (i.e., lagged well behind) the Republic of Ireland and the rest of the UK, with the gap widening since the 2008 financial crash. The terminal decline of manufacturing has not been offset by modest growth in other areas of the economy, while the private sector is suffering from a persistent skills gap, infrastructural deficits and low productivity. Economic inactivity meanwhile remains far higher than in Britain and appears to be on the rise. 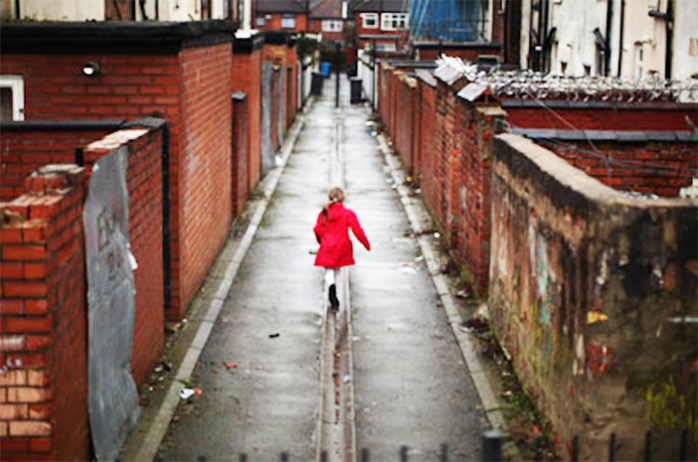 Recent research from the End Child Poverty coalition has found that one in four children in Northern Ireland live in poverty. Then there is the question of the public good: what benefits have emerged and for whom as a result of the policy choices made since 1998. It is estimated that during the ‘austerity’ period the number of millionaires in Northern Ireland shot up by 40 percent, from 10,000 in 2010 to 14,000 in 2015. Corporate profits have resumed an upward trend that was temporarily interrupted by the financial crisis, increasing by an average of 20 percent and a combined 80 percent for the region’s top 100 companies in the last year alone. At the same time, labour’s share of regional income has fallen year-on-year from 59.6 percent in 1998 to 53.7 percent in 2016. Low pay is much more prevalent and income poverty rates are higher in Northern Ireland than in other parts of the UK: over 100,000 of the region’s children are living in poverty and this figure is set to rise. Increasing numbers of households are heavily dependent on income supports, high cost forms of credit and on food banks. Homelessness is also an ever-growing concern, with the number of statutory homeless almost doubling since the restoration of devolution in 2000. In terms of the main quality of life indicators, there is little evidence that people living in the socially-deprived, segregated areas that bore the brunt of the conflict have gained from the peace process. Large parts of north and west Belfast and Derry, for example, are scarred by persistent health inequalities in the form of low life expectancy, a high incidence of avoidable deaths, drug and alcohol misuse and mental health problems of epidemic proportions. The scale of these problems is such that the number of people to have died by suicide since 1998 has now surpassed the total number of people killed during the Troubles. Underlying factors including low educational outcomes and inter-generational unemployment are feeding a growing sense of hopelessness and alienation, along with an increasing trend of prescription drug misuse, as well as anti-social and criminal behaviours. But how are these ‘morbid symptoms’ to be explained? To begin with, the seeming eradication of violence has enabled the British political class to treat Northern Ireland like other peripheral regions of the UK, i.e. subordinate to the expanding financial core in the City of London. In practice this has meant growing pressure to privatise large parts of the public sector as part of an overarching strategy to financialise the economy. During the 2002-06 period, when devolution was plagued by long bouts of suspension, the New Labour government took the opportunity to roll out the use of PFI/PPPs, promote the sale of state assets, and introduce a plan for domestic water charges and the privatisation of Northern Ireland’s public water utility. Austerity measures were introduced as early as 2008, but the drive towards wholesale restructuring took on new proportions following the 2010 election of the Conservative-led government. Since then the block grant has been subject to cuts totalling £10 billion, the net effect of which has been to generate crises in hospital provision, primary care, mental health services, education, housing and community-based policing. Part of the rationale for these cuts is the fallacious idea that the North’s economy is weighed down by a bloated public sector and needs to be ‘rebalanced’. Sinn Féin and the DUP come from very different ideological perspectives, the former being the more progressive of the two. Unfortunately both parties were all too quick to embrace the ‘rebalancing’ myth in the process of adapting to a neoliberal economic consensus, codified in successive Programmes for Government. The Stormont House Agreement (SHA) of 2014 amounted to a self-inflicted structural adjustment programme. While deferring the resolution of flags, parades, identity and legacy issues to another day, the SHA committed the Executive to ‘comprehensive programme of Public Sector Reform and Restructuring’ involving significant redundancies and public service cuts along with a fresh round of asset sales. In return, the British government acceded to the local parties’ demand that corporation tax powers be devolved within two years, so that it could be subsequently reduced to 12.5 percent. This would result in a £500 million cut to public service provision over an initial two-year period, with further reductions to the block grant due to be incurred in the years up to and beyond 2024/25. 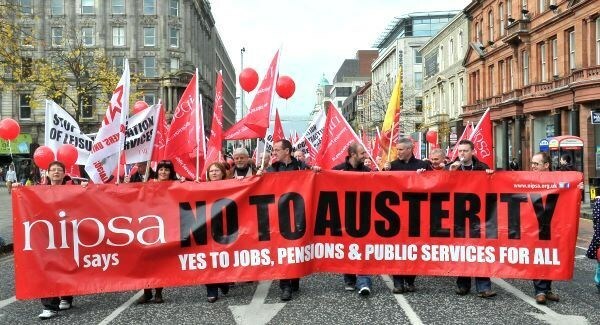 Activists from the Northern Ireland Public Service Alliance (NIPSA) protest the imposition of austerity measures in 2012. After some half-hearted resistance by Sinn Féin, the Tory-led government’s package of ‘welfare reforms’ was also implemented through the Fresh Start Agreement (2015), which returned welfare powers to Westminster while allocating £500 million of local funds to the mitigation of benefit cuts up till 2020. The bottom line is that although this may have helped a small number of people and delayed the collapse of the devolved institutions, it has ultimately failed to prevent the disaster of Personal Independence Payment (PIP) assessments, the introduction of the bedroom tax and the roll out of Universal Credit, which is destined to leave a trail of destruction as it is doing in Britain. The devolution and reduction of corporation tax, a homegrown policy, is an illustrative example of how different political priorities have aligned with the logic of capital and its strategy for neoliberal transformation of the Northern Irish economy. The policy is perfectly consistent with the DUP’s ideological outlook and the economic class interests of the party cadre, if not the sections of the working-class which vote for them. For Sinn Féin, on the other hand, key policy decisions are better understood as fulfilling the party’s electoral ambitions and nationalist objectives. As Dan Finn has cogently argued, Sinn Féin has become ‘a left-nationalist party that is more nationalist than left’. In this sense, low corporation tax in the North appeals to the Catholic middle class and Irish-American investors, placates the DUP and constitutes the path of least resistance to tax harmonisation across the island. Sinn Féin’s determination to secure a lower corporate tax rate stands in sharp contrast to its inaction on workers’ rights and the solidarity economy – both devolved matters – and its wider failure to pursue progressive alternatives in the areas of health, housing, education and state-led approaches to industrial planning and enterprise. All of this sits uncomfortably alongside the party’s programme in the south of Ireland, where it is the largest left-wing party and benefitted most from adopting an austerity-critical approach. Part of the reason that the neoliberal consensus has held for so long is the absence of an organised impetus for reform. The Trotskyist People Before Profit (PBP) and centre-left Green Party have provided a critical voice for those suffering the effects of austerity, but have struggled to present a coherent alternative as the events surrounding Brexit and collapse of Stormont squeezed the political space for the left. Centrist forces (the SDLP, UUP, Alliance Party) have routinely critcised the two bigger parties on single issues, but contributed very little to the debate around a different economic and political vision. The SDLP’s recently forged partnership arrangement with Fianna Fáil has cemented its position on the centre-right axis, leaving Labour with serious questions to answer about its affiliate. Corbyn is bound to face renewed demands from his 3,000+ members in Northern Ireland to allow them to field candidates, although this will not happen any time soon or without the support of the Labour Party NEC and a conference decision. The new orthodoxy is bleak from a socialist perspective, but it is not entirely reducible to the whims of the main political parties. It is clear that those with responsibility for formulating and implementing policy are often adjudicating on the advice provided by legal, accountancy and real estate firms, industry ‘experts’ and a shallow pool of academics drawn from an increasingly commercialised university system. State managers and public policy officials themselves share a common economic interest and cultural reference point with those who mediate on behalf of capital. Even in the unlikely event that socialists filled the Assembly chambers or those of local government, they would face significant roadblocks to progress in the form of institutionalised neoliberal ideas, norms and practices, as well as the enduring subordinate status of Northern Ireland and its institutions in relation to Britain. Crucially, the economic powers that come with devolved government do not extend to control of monetary policy, taxation or the ability to intervene in financial markets, and are largely forced to operate within the wider agenda set by the British ruling class. Economic restructuring in the North has been stunted and shaped at times by the responses of local community, civil society and other actors that have sought to resist the extension of the market into public life. The Sinn Féin-DUP era has been bookended by two major victories won through mass trade union and community mobilisation. In 2007, the Coalition Against Water Charges secured an all-party consensus that water charges be deferred. In more recent times, the Northern Ireland Public Service Alliance (NIPSA) has been working with Housing Executive residents to prevent the proposed transfer of public housing stock to housing associations – a first step towards privatisation. Two votes have been held in the space of just over a year, with residents in Ballyclare and Ballymena voting overwhelmingly to reject the transfer proposal, thus defending the right to public housing and the legacy of the Housing Executive. There have also been moments of serious labour unrest, with 2011 marking a high point of strikes and student protests against the Tory-led government’s austerity programme. This situation was repeated in early 2015 when the Irish Congress of Trade Unions (ICTU) along with local trades councils coordinated a 24-hour walkout and day of community action in protest at the economic dimensions of the SHA, forcing Sinn Féin to perform political gymnastics on the issue of welfare reform and the Executive into finding ‘new’ resources for health and education. 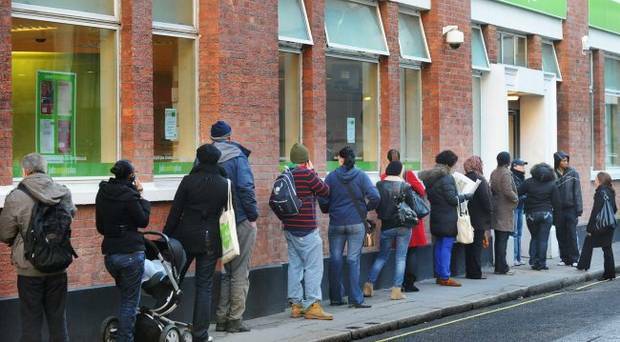 Half of the unemployed in Northern Ireland are on the dole for a year or more, compared with just 25% in the Republic of Ireland. Overall, however, the two decades since the GFA have been marked by industrial peace, born out of an embedded partnership ethos and the official trade union movement’s adopted role as a guarantor of the peace process. This has sometimes led the ICTU and its affiliates to avoid industrial conflict and adopt what might be regarded as conservative positions, for example endorsing the Fresh Start Agreement on the basis that it would avert direct rule under the Tories. Trade unions are right to want to protect peace, but dig their own graves by accepting that it can be achieved at the cost of their members and the wider working-class. There are many examples of community resistance to be found across the North, some coupled with imaginative forms of local economic development. Experiments in worker- and community-owned cooperatives have been underway for years, without any form of legal or institutional support. In the historic Market area of south Belfast, residents have successfully resisted plans for an office block beside a traditional social housing development and progressed their own plans to transform disused tunnels in the locality into a community-owned crèche, gym and café. In County Armagh, a ‘Save Craigavon City Park & Lakes’ campaign has emerged to prevent the sale of a public parkland, defending an important local feature of the commons from enclosure. The list goes on. These campaigns and others like them have repoliticised spheres that had been marked as non-political and registered small victories in the face of processes that are often presented as global, natural and inevitable. But in the absence of a broader progressive context, they will remain a necessary yet insufficient bulwark against neoliberalisation. The past two years have brought a series of internal and external shocks to the politics of Northern Ireland. Brexit, the rise of Corbyn, the Tory-DUP alliance, the repeal of the Eighth Amendment in the south of Ireland, emergence of a vibrant grassroots Irish language movement and signs of discontent in Sinn Féin’s working-class base – each of these factors have upset the stagnant equilibrium in different ways. Over this period the DUP has done much to antagonise soft nationalists, social liberals and Unionist Remainers, helping to render Irish unity a less daunting prospect for many. The unity campaign is increasingly organised and, amid the stagnation of the north’s institutions and the increasingly minoritarian approach of the DUP, its representatives have had some success in suggesting it offers the only path forward. However, the current campaign focuses disproportionately on winning business class support, and proposals for political and economic re-unification emphasise the need for integration into the Republic of Ireland’s FDI-led, tax haven model. Though now likely, a united Ireland may still be a decade or more away. In the meantime it’s hard to imagine the restoration of devolution before Brexit is resolved. Where, then, does that leave us? If the past twenty years tells us anything, it’s that a return to the status quo is no solution at all. The challenges of the present conjuncture require a new set of answers. These will not emerge from the centrist parties, whose horizon of imagination extends at best back to the early days of the peace process. Nor will a Labour government in Westminster be enough by itself to produce a better outcome for workers in the north of Ireland. It is imperative that trade unions and progressive civil society in Ireland begins to shape the conversation by engaging with people on what might replace the divisive political system and inequitable social order that is currently in place. Seán Byers works for Trademark Belfast, a trade union-based organisation focused on research, political education and post-conflict transformation.